All of the varieties of grasses are either beginning to bloom or in full bloom or somewhere in between. All plants look fantastic except for a little wind damage to S. scoparium ‘Jazz‘. The weather in June was fairly average in terms of temperature and rain fall. However, at the end of June and beginning of July we had cooler than normal temperatures and approximately 15 straight days of some amount of rain. July was about 4 degrees lower than the historical average and +1″ in rainfall. Overall, however, all of the varieties look fantastic! We mulched the pathways in early June and the grasses themselves with pine fines in late July. 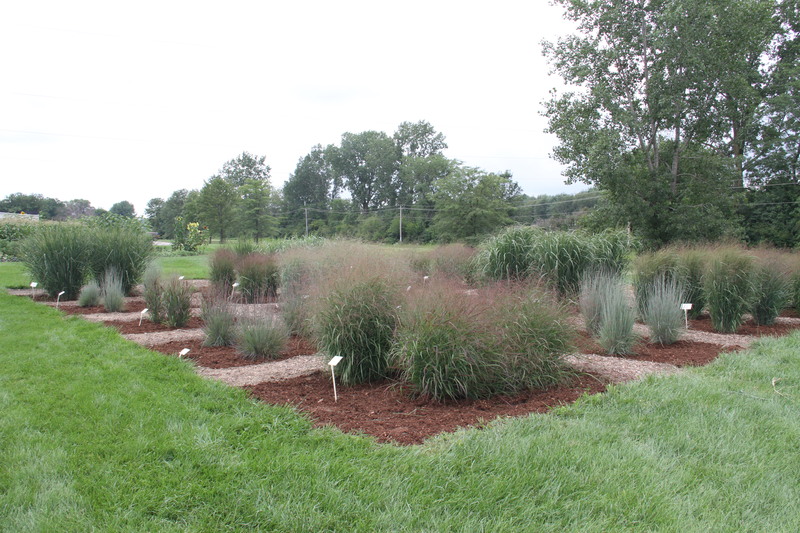 This entry was posted in Uncategorized and tagged July, Mulch, Ornamental Grasses. Bookmark the permalink.